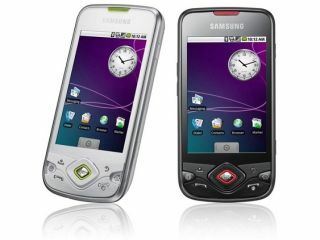 Samsung has officially unveiled its latest addition the Android brigade – the Samsung Galaxy Spica. There has been some confusion the last few months over just what name Samsung would give its handset, which is a downsized version of the Samsung Galaxy i5700. While some were reporting that the phone company would go for the plain and simple Galaxy Lite i5700, Samsung has decided to name the handset the Samsung Galaxy Spica (for the European market at least). As all astronomy buffs out there will already know – Spica is a star which makes part of the constellation of Virgo, so adding it to the Galaxy branding sort of makes sense. The Samsung Galaxy Spica is to come equipped with Android 1.5, a 3.2-inch HVGA touchscreen and a 3.2MP camera, and it will run on a not-too-shabby 800MHz processor. While the rest of the specs don't exactly set the world on fire (GPS, a compass and an FM radio) the phone is equipped with DivX compatibility and a massive 1500mAh battery. Price and availability is to be announced but, as always, TechRadar will keep you posted.